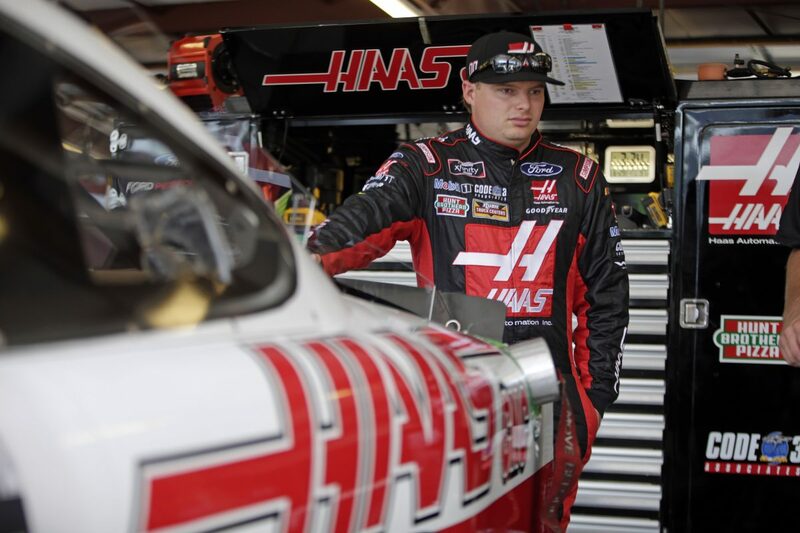 The Lakes Region 200 will be Cole Custer’s second NASCAR Xfinity Series race at New Hampshire Motor Speedway in Loudon. While the Lakes Regions 200 will be Custer’s first Xfinity Series start at New Hampshire, it will be his sixth overall start at the 1.058-mile oval. In addition to his Xfinity Series start there, Custer has three NASCAR Camping World Truck Series starts and one NASCAR K&N Pro Series start at New Hampshire. In his five starts at New Hampshire, he has two wins, two poles, four top-10s and has led 208 laps. In Custer’s first start at New Hampshire in 2013, he captured his fourth career K&N Pro Series win from the pole after leading 60 laps. In 2014, Custer made his first Truck Series start at New Hampshire. It proved memorable as he won the pole and then the race for his first career Truck Series victory. At 16 years, 7 months and 28 days, Custer became the youngest race winner in NASCAR national series history. Last weekend at Kentucky Motor Speedway in Sparta, Custer earned his and Stewart-Haas Racing with Biagi-DenBeste’s fourth-career pole award. He held the lead for the first 14 laps and piloted the Haas Automation Ford Mustang to his seventh top-five of the season. Custer’s best finish in the 17 Xfinity Series races this season is second on May 26 at Charlotte (N.C.) Motor Speedway. He has earned four poles, seven top-five finishes, 13 top-10s, and has led 128 laps this season. Custer has one win, four poles, 15 top-five finishes, 34 top-10s and has led 430 laps in 55 career Xfinity Series starts. He is third in the Xfinity Series driver standings with 605 points, three behind leader Elliott Sadler. Custer has qualified inside the top-five at six of the last seven races this season. He has earned 12 top-five starts and 13 top-10 starts in the 2018 Xfinity Series season. Thursday, Custer will make an appearance at the Lowell (Mass.) Spinners Minor league baseball game to throw out the first pitch, sign autographs and partake in a Q&A session with fans. The Lowell Spinners are a Class A affiliate of the Boston Red Sox. Among the last 10 races, Custer has earned the most pole awards (3), the most championship points (357), and has the highest average finish (7.5). Describe the feeling you had after winning your second race at New Hampshire, where you became the youngest winner in national series history. What does it take to run a successful lap around New Hampshire? Are you more confident at tracks that are a mile in length or shorter? You’re throwing the first pitch at the Lowell Spinners game Thursday. When was the last time you threw a baseball? Talk about the car you’re bringing to New Hampshire.